Double Rolling Roof boxes are completely sealed containers with large sliding lids used for transporting contaminated materials, chemical waste, and more. 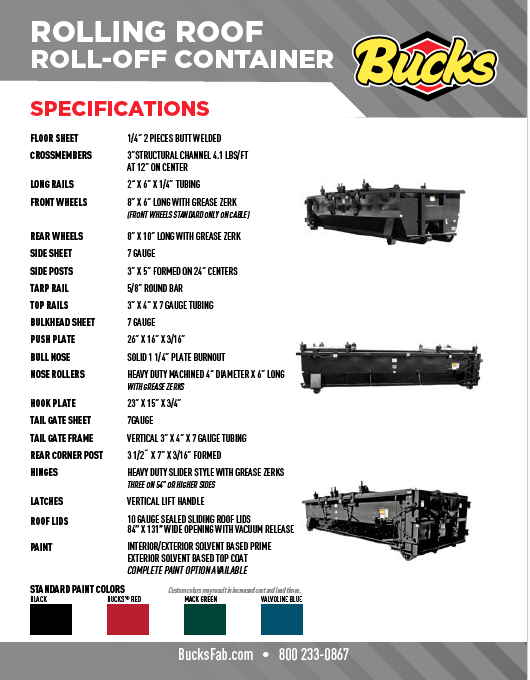 Commonly used in the Oil and Gas industry, as well as Waste Hauling, the Double Rolling Roof container is ideal for hauling sludge materials. The tailgate and roof on these units are sealed and water tight tested. When both lids are open there is an 11 ½ foot opening for dumping material into the container.